Another UFO (Un-Finished Object) completed. 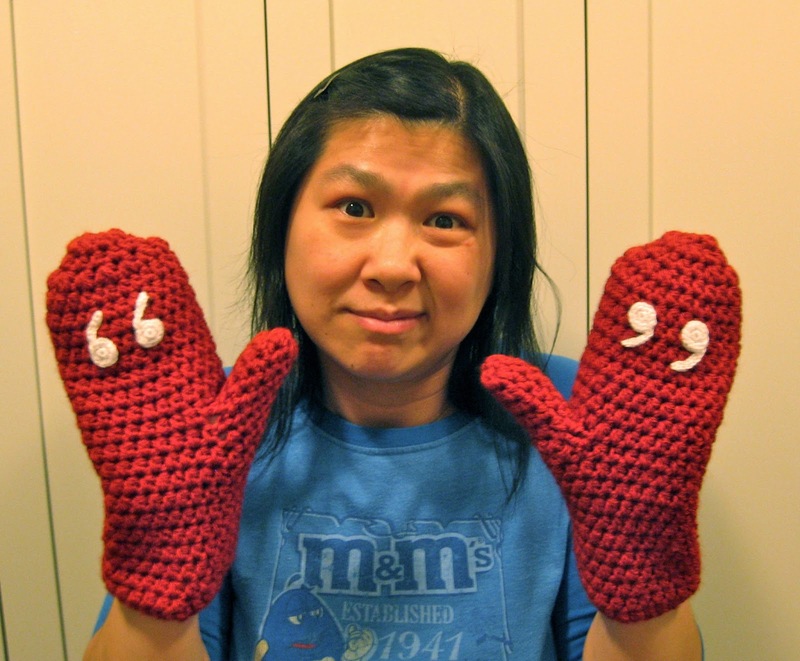 I had crocheted these mittens last year but procrastinated in sewing on the quotes. I really don't like hand sewing so these poor mittens sat in a bag until I finished them last night. Now there's no need to take off your mittens, potentially exposing your fingers to the cold, when you want to be sarcastic. Just hold up your mittens and the world will know when you want to air-quote. He said he only wanted to be "friends". Her "job" was to make sure the sandwich table was stocked. If by, "love" you mean you wanted to stab yourself in the ears, then yes, I "loved" the concert.